Czech architects Atelier 8000 designed this monolithic cube retreat for the mountains of northern Slovakia. 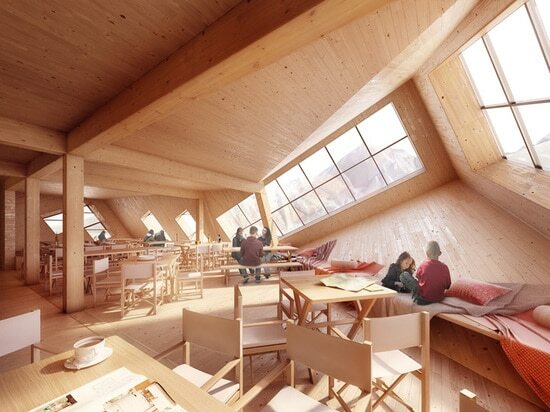 Atelier 8000‘s cubic retreat is made from laminated timber beams. Due to the home’s angled position, the rooms have slanted ceilings and unusual angles. The building is clad in a combination of glass, metal and photovoltaic panels. 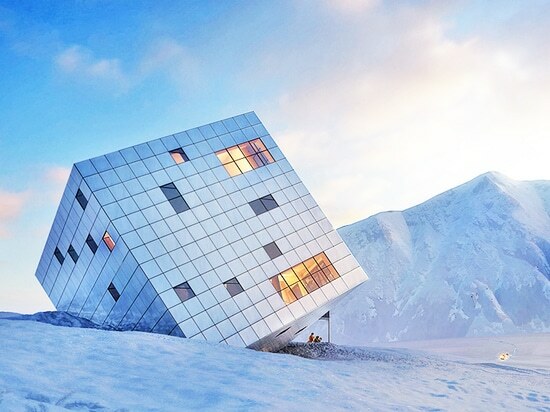 Aluminum elements were designed as 1×1 meter modules, which makes them easy to transport. 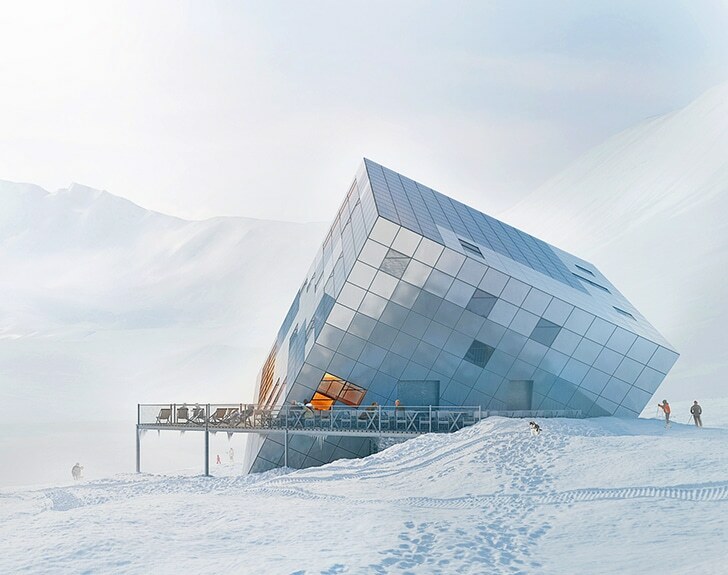 Thanks to the highly reflective surfaces, the hut looks like a large ice cube – and it fits perfectly into its surroundings. 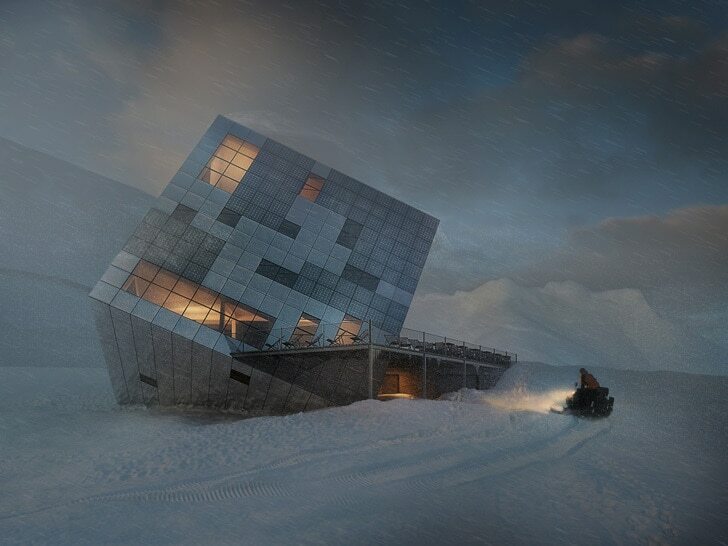 The base of the hut houses a snowmobile garage, a staff entrance, ski storage, a drying room and a restroom. Common areas such as the restaurant and deck are located on the ground floor, while the upper floors accommodate sleeping areas. 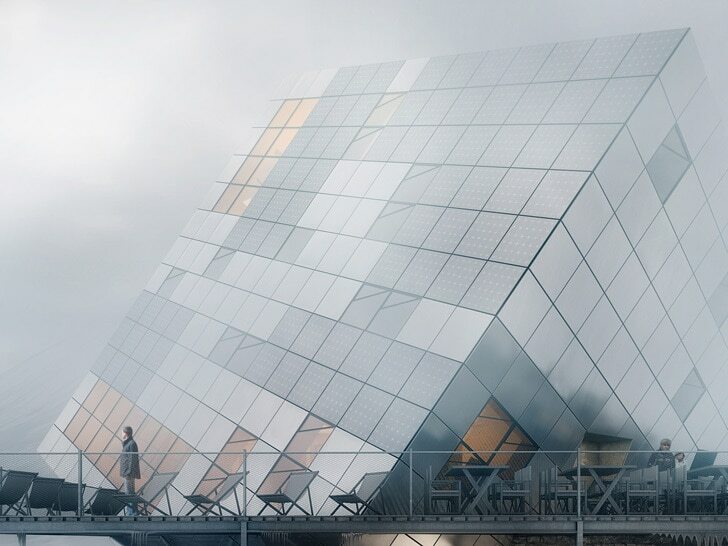 In terms of performance, the house aims to maximize solar energy generation. Atelier 8000's cubic retreat is made from laminated timber beams. The building is clad in a combination of glass, metal and photovoltaic panels. Thanks to the highly reflective surfaces, the hut looks like a large ice cube - and it fits perfectly into its surroundings. 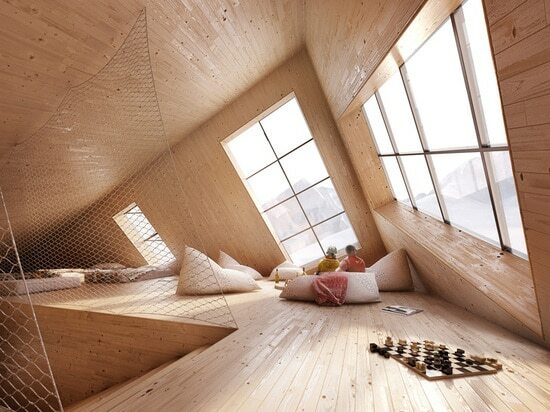 Due to the home's angled position, the rooms have slanted ceilings and unusual angles.